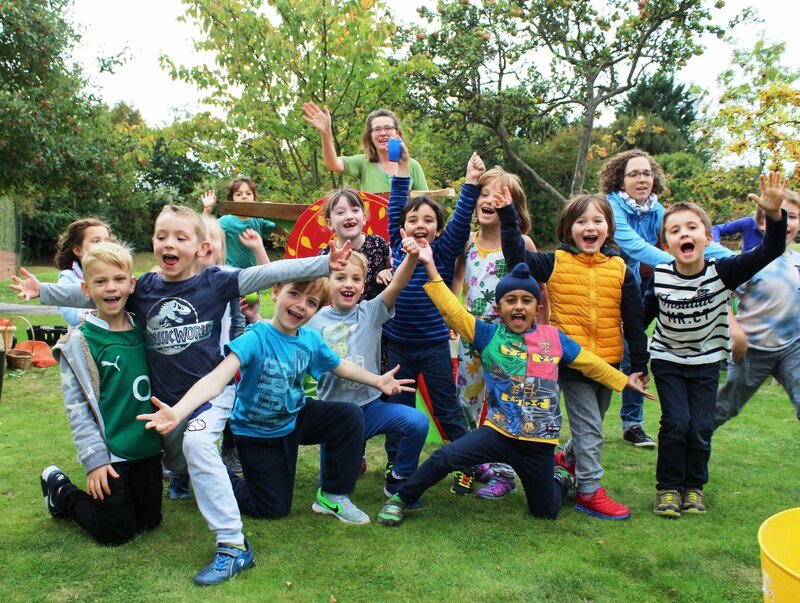 Blue skies and sunshine proved to be perfect Autumn weather for the Junior School’s annual Apple Day. 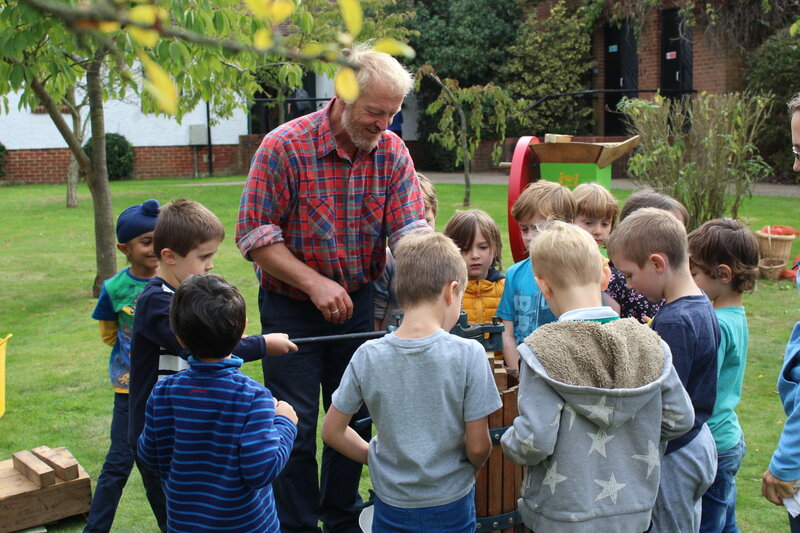 Classes from Nursery to Year 6 (H Group) took turns to collect, ‘scratt’ and press apples to produce St Chris apple juice, which was sold at the end of the School day to parents. As well as using the press and the apple scratter, the children designed their own bottles, washed and prepared the apples and took part in games such as apple bobbing and pin the maggot on the apple*. Thanks to Lydia, Robert and Anne for bringing in the press and for their help!